Anne Arundel County Police Chief Kevin Davis and Anne Arundel County Public Schools Superintendent Mamie Perkins today announced a new, innovative partnership between the Anne Arundel County Police Department’s School Resource Unit, the Anne Arundel County Crisis Response System (AACRS) and the Phoenix Academy, an Annapolis school which serves special education and alternative education students in kindergarten through 12th grade. 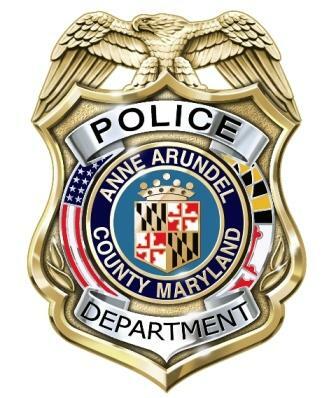 Beginning this month, a School Resource Officer (SRO) from the Anne Arundel County Police Department will be assigned to the Phoenix Academy. The newly remodeled Phoenix Academy, complete with partner suites designed to facilitate collaborative teamwork by professionals of differing specialties, provides an excellent opportunity to provide SRO service consistent with the SRO assignments in 12 other County public high schools. One of the best features of the nationally recognized Anne Arundel County Police SRO program is the consistent, crime prevention presence of fully uniformed police officers in schools each day. These officers instill a sense of safety by responding to calls for service, pro-actively patrolling school grounds, investigating crimes, and maintaining partnerships with parents, faculty and community members. Officers get to know the students, their families, the circumstances of their lives and the challenges they face. This knowledge of students allows SROs to guide families to support systems that are available to assist. The Anne Arundel County Crisis Response System is one such support system. The mental health clinicians of the AACRS strive to operate as a preventive tool for individuals identified as having an elevated risk for emotional or mental crisis. AACRS works closely with the Police Department to provide people with community resources needed to help them on their road to recovery. Through collaboration between the SRO, school staff and school system officials, AACRS Case Management services and other community partners, Phoenix Academy students and their families will now be linked to resources outside of school that help students be more available to learn while in school. The goal is to allow students to feel successful and confident in their academic environment by diverting possible crisis situations, both at home and in school, before they occur. Since its inception in August 2007, the Anne Arundel County Police Department’s School Resource Unit has enjoyed a partnership with Anne Arundel County Public schools that has led to our agency being recognized as a state and national model of school-based policing. (Maryland Outstanding Crime Prevention Program; National Association of School Resource Officers Model Agency; School Safety Advocacy Council Award for Excellence).